Sometimes, a look that’s so simple can still manage to be utterly chaotic: a Spartan crested military helmet and animal pelts. 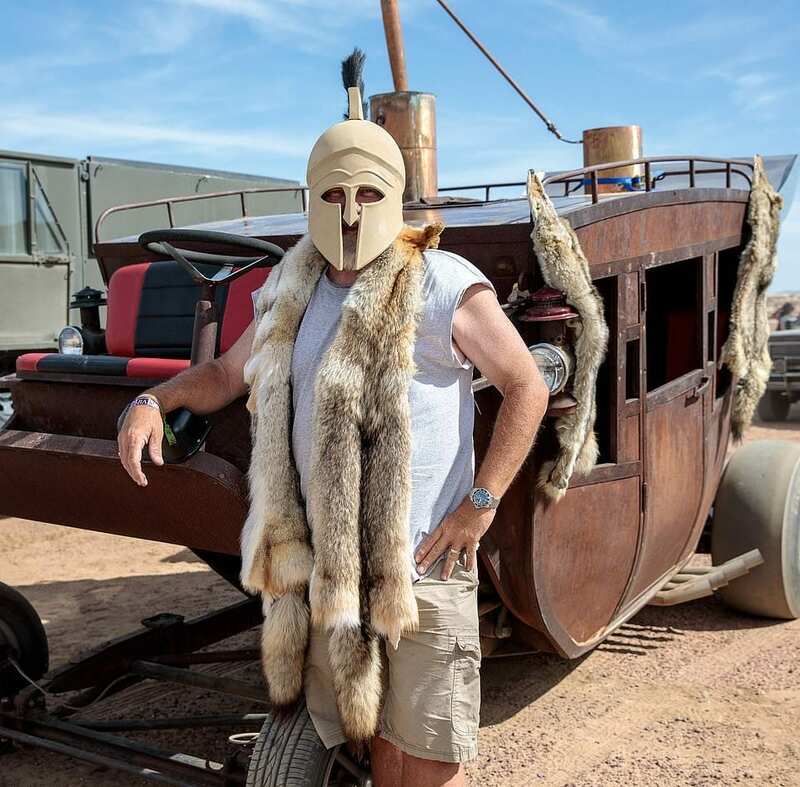 But with a vehicle as imaginative and unique as that, why bother putting too much time into a detailed Mad Max costume when you’re already going to stand out regardless? A big component of the Wasteland Weekend festival is its costume competition, divided between men and women. In this case however, it appears that this gentleman placed the focus way more on this ingenious chariot contraption. Assuming it’s his, this guy deserves some serious points for the prop. Think that’s out of this world? You’d best prepare yourself for what’s up ahead.